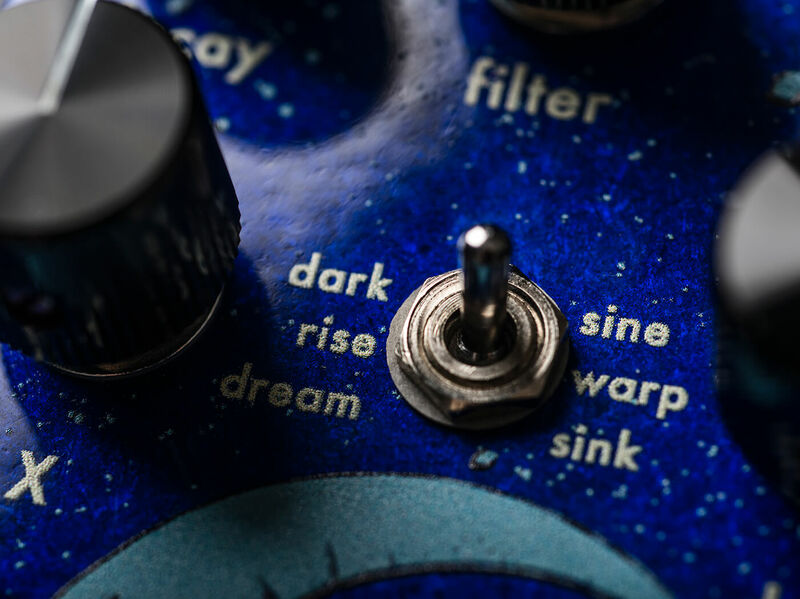 A centre-mounted mini-toggle switch gives you access to three reverb types: Dark (adds a lower octave), Rise (ambient swell with a slow attack on the reverb) and Dream (latching pad controlled with the sustain footswitch). Secondary functionality is also accessed when you hold down the bypass switch, which changes the wave shapes of the reverb tail from a smooth sine wave with even pitch modulation (Sine) to warped record (Warp) and Bigsby drop (Sink). This is a somewhat dizzying amount of options and it hints at ethereal possibilities to come. Throughout our time with the Slö, we find the control system intuitive, with a large amount of range to each parameter. The bass octave and modulation track well and no matter how hard we push the filter, the top end remains silky and dynamic with not a hint of ‘Christmas reverb’. 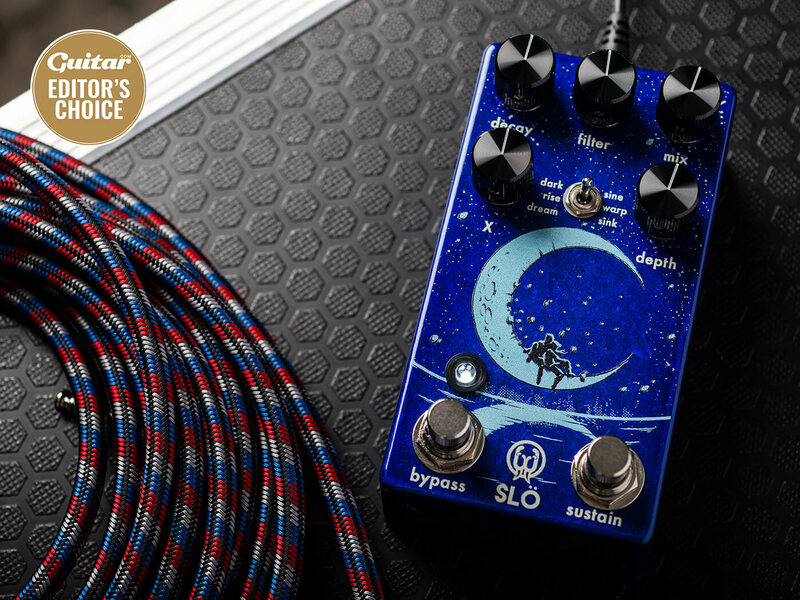 Fans of self-oscillating, end-of-the-gig pedalboard wig-outs will find a new friend here. A beautifully crafted, seductive dreamscape machine for the sonic world builder.